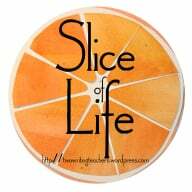 This entry was posted in Slice of Life, Songwriting. Bookmark the permalink. Beautiful. I understand the feeling. I have to write. It’s what I do. I love this post and I love the song you wrote, Kevin. You are a multi-talented man and we are fortunate that you are a part of our writing community. I love the line, “When you turn back time fades away.” Love the multi-meaning of this phrase–all so true. Good luck in your band member search! Thanks for the thoughts and that line is the center of the song, in many ways. Your song is a gift to the future Kevin. May the current gaps in your musical existence resolve itself quickly. While listening to your song I felt it had a Ryan Adams quality to it. Thank you for sharing another slice of your many talents with us. I really enjoyed the song! Lovely sound to it. I also love the idea that it’s a song for people and situations that you are taking on faith for now. Kevin, I was hoping to listen to the song but I can’t get into it so I listened to your demo. Keep on writing songs. it is your calling.